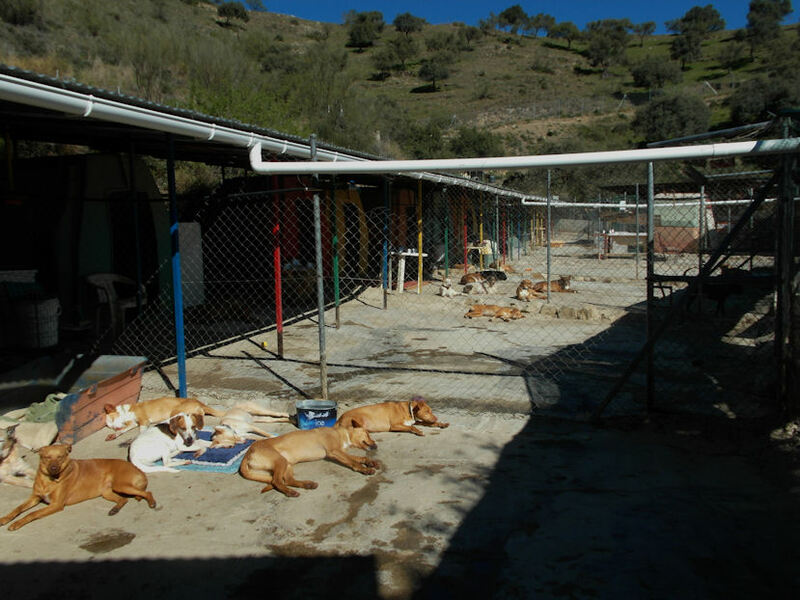 APARIV the Association for the Protection of Animals, Rincon de la Victoria, is a dog rescue shelter and registered charity, located in the campo just outside Rincon, to the east of Malaga in Spain. Set up in 1996 and registered in 1997, in response to the large numbers of neglected and abandoned dogs in the area, APARIV provides a place of safety and care for around fifty to sixty dogs. At APARIV we aim to find loving homes for as many of our dogs as possible. However if a home can’t be found, the dogs will live out their lives as one of our “Forever Dogs” at the shelter. Some people wonder why we cannot always take in a dog. Not too many days go by without someone calling us to take in a dog. The stories are virtually the same– a dog or puppy has been abandoned and is wandering the streets looking for food and shelter. In a perfect world, we would take in each and every one of these dogs. But our space and resources are limited. Our obligation is to ensure that the dogs in our care are safe from harm. Too many dogs living together can create a very dangerous environment for the dogs. Small dogs usually cannot live with bigger dogs, too many males cannot live together, certain personalities do not mix— and the list goes on. Nearly fifty percent of the dogs at the refuge are a Podenco Mix breed, the Spanish hunting dogs that no one seems to want but are the most commonplace in southern Spain. Most of these dogs will live their lives out at the refuge which of course, effects the number of new dogs that we can take in. Dogs must be re-homed in order to open up space for new dogs to come in. For those who have adopted or fostered one of our dogs, we are deeply grateful. We are always looking for people who would like to foster a dog until a permanent home can be found. If you can help, please contact us. 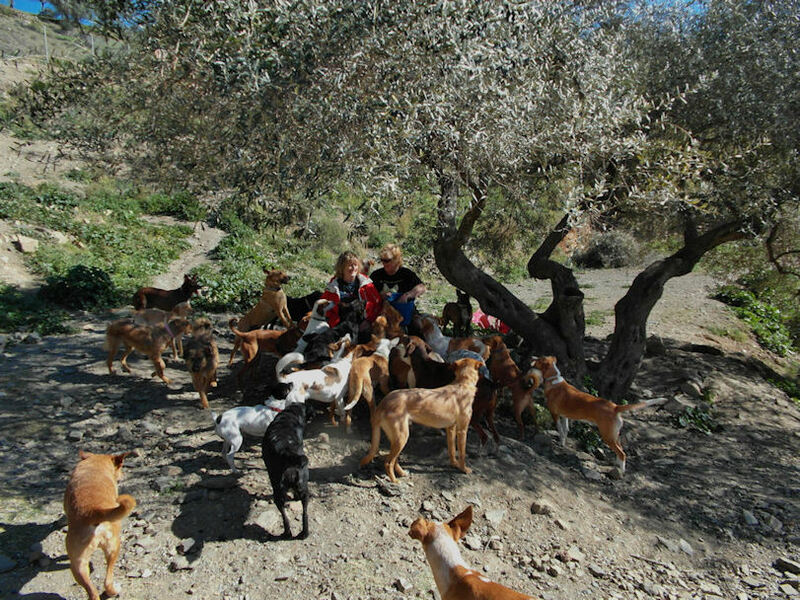 The APARIV dog rescue shelter is run by a small, dedicated team of volunteers and we rely entirely on donations and the proceeds from sales from our charity shop, at Torre del Mar again run by volunteers. The proceeds from the shop directly benefits the dogs. We very much appreciate the help of all our volunteers and the generosity of our donors and sponsors. We are always happy to welcome new volunteers in the shop and at the dog rescue shelter. Many hands make light work after all and we are a very friendly team. 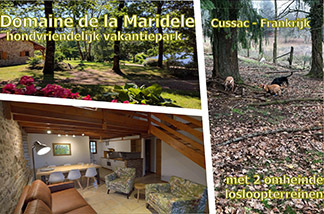 Come and join us and make new friends. Needless to say, we are also always delighted to hear from anyone wishing to adopt or foster one of our lovely dogs. When one dog leaves to go to a forever home or a foster home, a place is created for the next new arrival and we are able to help yet another dog in need. If you feel you would like to help us in any way, please don’t hesitate to get in touch. We would very much love to hear from you.